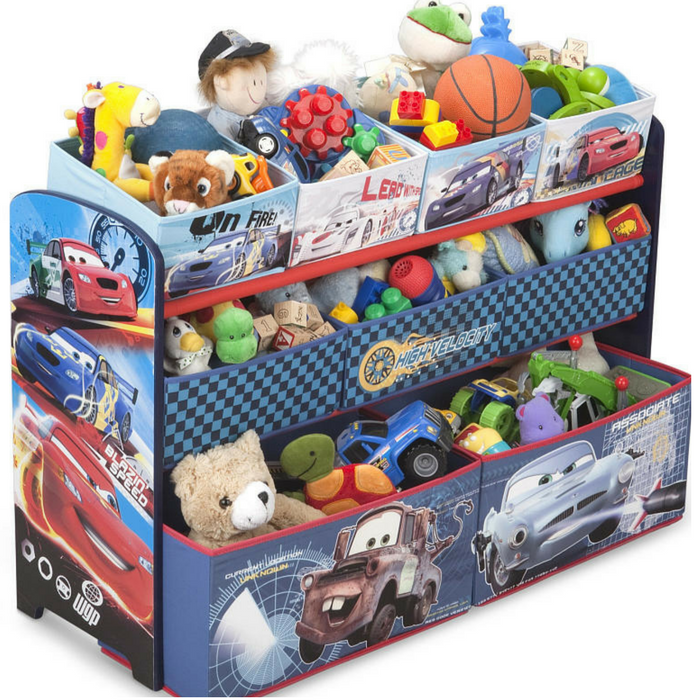 Cars 9-Bin Toy Organizer Just $20.99! Down From $35! You are here: Home / Instagram / Cars 9-Bin Toy Organizer Just $20.99! Down From $35! Toys R US has this Cars 9-Bin Toy Organizer for just $20.99 down from $34.98 PLUS FREE shipping for orders over $29! Add a splash of color to your kid’s room with the Disney Pixar Cars Deluxe 9-Bin Toy Organizer. This sturdy and well-made Disney Cars 9-bin toy organizer helps keep all the toys, books and other belongings neatly arranged in one place. There are nine different sized high quality fabric bins that provide ample storage space. Books, craft supplies and other small items can be conveniently organized in the top two tiers and larger items like dress up clothes, shoes and stuffed animals can be stored in the larger bottom bins. Sturdy wood frame and high quality fabric bins.